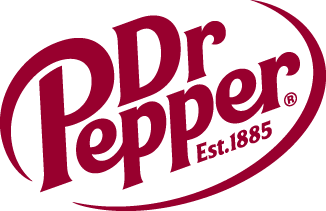 Dr Pepper Dallas Cup XXVII Announces the Super Group for 2006 | Dallas Cup, Inc.
Dr Pepper Dallas Cup XXVII (April 9-16) will play host to the most recognized boys youth teams known throughout soccer. This years line-up is sure to be the most competitive Dallas and the United States has ever seen in the sport. Matching up teams from the Far East to the Cliffs of Dover, the action will be at an all time high in all of the age groups. Blackburn Rovers FC of Blackburn, England, the 2005 Premier Academy League Under 18 Champions. CF Monterrey of Monterrey, Mexico, has been a long time Dallas Cup participant and holds more Dallas Cup championship trophies than any other club. Consadole Sapporo of Sapporo, Japan, are the Under 18 finalists in the 2005 Prince Takamado Cup. Dallas Texans Red of Dallas, Texas, USA, are the current United States U-17 National Champions. Deportivo Saprissa of San Jose, Costa Rica, competed last year in Dallas Cup XXVI Super Group. Eintracht Frankfurt of Frankfurt, Germany, making this their 2nd appearance in the Dallas Cup Super Group. FC Delco Crunch of Philadelphia, Pennsylvania, USA, were Under 17 finalists in Dallas Cup XXVI. FC Groningen of Groningen, Netherlands, includes three members of the Dutch National U-17 Team that won the bronze medal in the 2005 FIFA World Championship. Manchester United FC of Manchester, England. This will be the first time Manchester has sent a Super Group team, but have participated in the younger age groups in the past. Real Madrid CF of Madrid, Spain, will be returning to Dallas Cup as two-time back-to-back Super Group Champions in Dallas Cup XIV & XV. Santos Laguna of Torreon Mexico, Dallas Cup XXVI Super Group finalists. Tigres of Monterrey, Mexico, are the Dallas Cup XXIV Super Group Champions. An announcement like this, would not be complete without unveiling the Sunday, April 9 line-up at Pizza Hut Park with the Dallas Texans Red of USA vs. Tigres of Mexico at 3:00pm, Opening Ceremonies, with an Olympic-style Parade of Teams at 5:00pm, followed by the Featured Match of opening day, Manchester United FC of England vs. Real Madrid CF of Spain at 7:00pm. Also during the week of Dr Pepper Dallas Cup XXVII, Wednesday, April 12, traditionally known to many as Simon Sanchez Celebracion de Futbol Night, the 6:00pm game will be Tigres of Mexico vs. Deportivo Saprissa of Costa Rica, followed by Real Madrid CF of Spain vs. CF Monterrey of Mexico at 8:00pm at Pizza Hut Park Stadium. Randy Jones, tournament manager, said, The Super Group brackets are tough, so it will be exciting to see who comes through to the finals, Sunday, April 16th. It is amazing to think that some of these world class teams will have the opportunity to play each other for the first time, ever, right here in Frisco. Tickets for all stadium games are on sale now. Please visit www.dallascup.com for the list of locations or call 214/221-3636 or 888/FCD-GOAL to purchase tickets over the phone. All seats are general admission and will be available at the gate for purchase. Games will be played all week, free of charge at Pizza Hut Park complex and Richland College complex, but entry into all Pizza Hut Park Stadium games require a ticket. Brackets and match schedules for all age groups are planned to be on the Dallas Cup website approximately 2-3 weeks prior to the beginning of the tournament.